In the modern world of publishing I often hear discussions of author platform, especially among new writers trying to break in. There are a lot of misconceptions about what platform means, and how important it is, so I thought I’d take a crack at clearing things up, and offer some useful resources for authors hoping to build their platform. Your platform matters to publishers because it affects how they can market your book, and how many copies they might expect to sell. Here are some of the things that might be considered part of an author platform. This is arguably one of the most powerful things to sell books. Like it or not, being famous (or infamous) makes your book marketable, even if it’s an absolute pile of drivel. Regrettably, very few authors can count on celebrity name recognition to sell books, so we might as well move on to other platform tenets. For non-fiction, an author’s qualifications are an essential part of his or her platform. We expect people who write books on a topic to have expertise and/or a unique perspective. Books about science or medicine, for example, are generally written by scientists or doctors. Harrowing survival stories are written by survivors. Cookbooks are written by people who cook. There are fewer minimum qualifications for the fiction author, though being able to string coherent words together might be one criterion. Professional short fiction credits and agent representation support the idea that the author can write well enough to be paid for it. It also helps if the author has proven experience that informs the book, i.e., Afghan-American Khaled Hosseini’s book The Kite Runner is about a boy growing up in Kabul. Your audience comprises people who know you already and may be interested in buying your book. Celebrities have audiences. Columnists and reporters have audiences, as do many experts who have published articles, won awards, or had speaking engagements. Established authors of fiction already have an audience, one that’s reflected in sales of previously published work. Thus, if you’ve published books already, their performance (for good or bad) is part of your author platform. Bookstores and libraries. I can’t begin to say how important these are. Remember, these are ways for you to reach out to a potential readers and to build relationships with other influencers. A “Buy my book” link in your Twitter profile is not a platform! How important is the author platform? If you’re reading this article, the answer is probably “not as important as you think,” but this is a question best answered by what the author hopes to write. As I mentioned before, a platform is essential for a non-fiction author, because it directly affects how the book will sell. A platform is less important for authors of fiction, with the notable exception that authors who have already published books can bring a readership to the table. Most new authors trying to break in don’t have a substantial platform, and that’s fine. It’s hard to build up a readership when you haven’t published anything! That said, if you have 10,000 people following you by e-mail or on social media, you have a greater ability to promote your own work. What About Short Fiction Credits? Short story writing is an art form. Many authors who write long fiction struggle with short fiction, and vice-versa. The short story market is fiercely competitive. Magazines are constantly inundated with submissions. The acceptance rate for most pro markets is well below 1%. A short story sale does not promise that the author can write long fiction. Then again, if you write short stories that go on to win prestigious awards, it can do wonders for your career. It’s a considerable time investment to write a publishable short story, but if you enjoy doing it, go forth. Now it’s your turn. 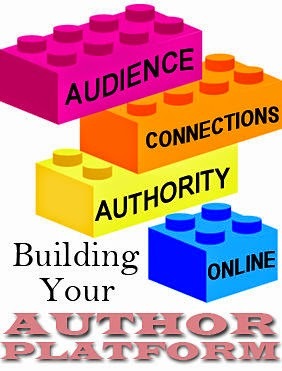 What are you doing to build your author profile? Please drop a comment below and share. Editor’s Note: This post originally appeared on Trouble the Write Way.